An ex-convict and his son take a road trip to Napa in the 1950s. A political science professor in Maine attempts to rein in what his daughter will say about him in her off-Broadway play. A recently divorced owner of a dry cleaning shop picks up a Ukrainian woman and finds himself married in Kiev. An Israeli soldier saves his brother's life. What do these stories (and several others) have in common? 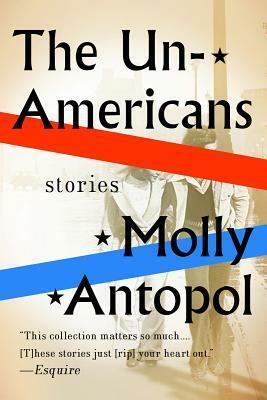 All are represented in Molly Antopol's stunning collection The UnAmericans. I didn't know this was a collection of stories when I started it, and when the first story ended, I was left with a deep sense of loss. I wanted to know so much more about these people, their lives, and the resolution they would come to. Thankfully, the stories that came after were just as interesting and satisfying as the first. I particularly loved the last, the story of an estranged couple from Vermont who reunites in Jerusalem to settle the estate of her grandmother. The collection features Jewish characters, some American, some with no ties at all to America, so the title puzzles a bit, but the stories are definitely worth reading. Megan lives in a penthouse apartment, has beautiful clothes, a gorgeous car, an adorable baby, and she's married to one of the most prominent plastic surgeons in Southern California. But her husband also abuses her regularly, and one night, after a particularly bad beating, she takes her baby and the cash she's stockpiled and makes a run for it, landing in a sleepy small town where her Audi and her designer jeans make her pretty conspicuous. That doesn't sound so bad, right? And the premise of the story is pretty good-- a spoiled rich girl who has to make it on her own in a small town. But every single character is painted with incredibly broad strokes. The evil husband is badder than bad-- he's not just abusive, but adulterous, alcoholic, and gambling addicted, and possibly interested in murder. Megan is a spoiled rich girl who allowed everyone else in her life to make her choices for her (first her mother and then her husband) until she had a child. 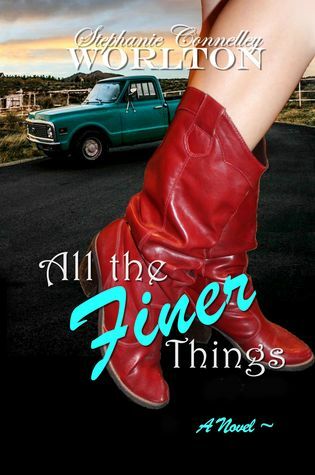 Ammon, the love interest, is almost too good-hearted to be true. A little more nuance would have gone a long way with this story. Take all of the characters from Jane Austen's novels, change their names slightly, and throw them together at a hotel in San Diego for a wedding celebration. Add in another bunch of place names, very slightly different (as in misspelled) from Austen's originals (like "Brightin Beach," which reminded me of a child who only could have been born in Utah and made me want to gag). 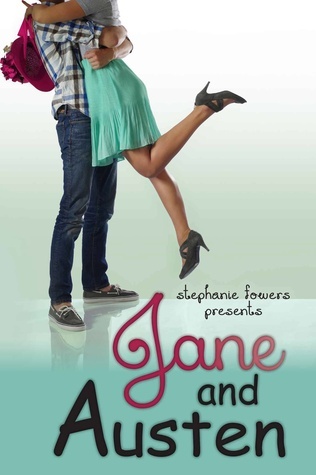 Finally, throw into the mix a girl named Jane and a boy named Austen. They're truly mismatched-- she a starry romantic and he a practical MBA student, but this is a romance novel, so love will conquer all. Okay, so this is going to sound less diplomatic than perhaps it should-- can everyone just lay off on the Jane Austen remakes? I think most people agree that Jane Austen was pretty much the best at writing smart romances that were really cultural commentaries. Chances are that if you try your hand at modernizing or rewriting or I-don't-really-know-what-this-is-ing to a Jane Austen story, you're going to fall significantly short of the original. That doesn't mean that there aren't the Cluelesses of the world, but Jane and Austen is not a Clueless. Fowers provided a directory in the back of the novel to show draw the parallels between characters in Jane and Austen and in Jane Austen, but I decided I didn't really care enough by that point. A little less madcap, a little less cutesy would have gone a long way with this story. 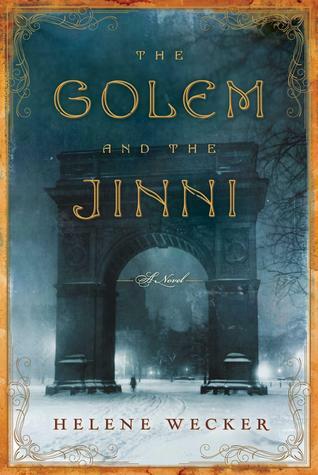 A Golem, a Jinni, and lots of nights wandering around turn of the century NYC. 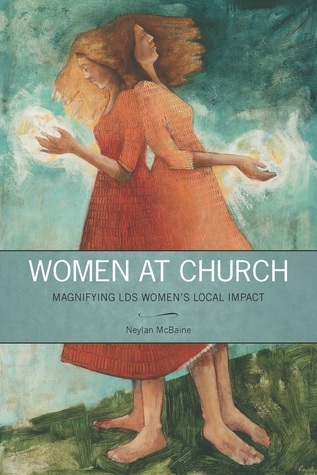 Lots of practical advice, anecdotal evidence, and support from LDS church leaders and behavioral experts showing how members and local leaders can work to help women feel more equal and included as LDS church members. A fictionalized retelling of the lives of Sarah and Angelina Grimke, abolitionists and women's rights supporters born in Charleston in the late 18th century, along with the story of Handful, Sarah's slave. Rob Peace's life is one that defies stereotypes or platitudes, and Jeff Hobbs tells it engagingly and with so much desire to understand. 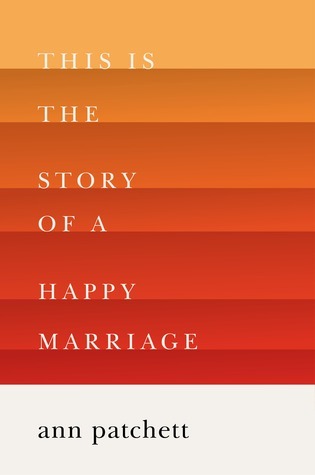 A portrait of a marriage over at least a decade, beautifully written but never sentimental, with a shocking, slightly unsettling twist near the end. These stories of women in the Bible is beautifully illustrated and set up in a way that helps readers relate the stories to their own lives. 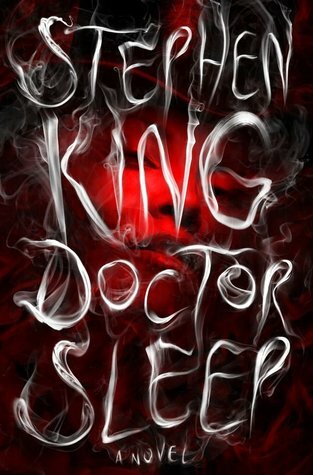 This deliciously-creepy sequel to The Shining is as much about the relationship between the two protagonists as it is about defeating their soul-eating enemies. 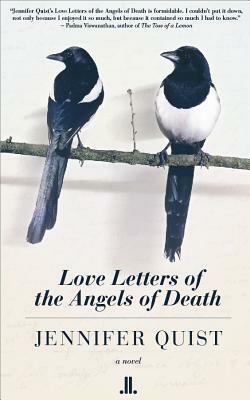 On its surface, this is a book of essays and articles written by Patchett over the last 30 or so years. But it's organized in a way that gives it a beautiful and compelling narrative arc. A book that takes patience and time, but the story of the dying Reverend John Ames, and the stories he wants to leave for his young son, are well worth slowing one's pace to enjoy. The engaging tale of Sophy, a Regency-era Mary Poppins, who enters her cousins' lives and manages to straighten out all the messes they made. 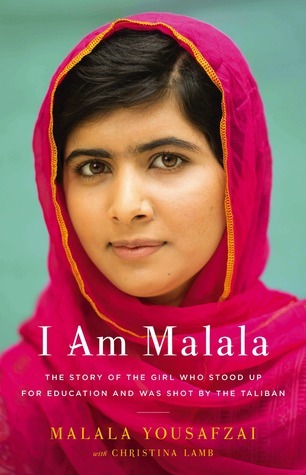 This year's winner of the Nobel Peace Prize shares the experiences that made her a crusader for girls' education and led to her being shot by the Taliban. 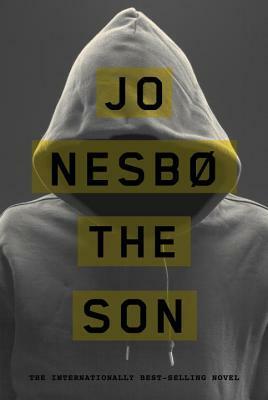 Redemption and restitution are themes in this fast-paced, yet thoughtful, stand-alone Scandinavian police procedural. Teenage twins whose close relationship is destroyed when tragedy strikes must learn to deal with guilt and grief to come together again. The third book in the Gilead series, Lila, the reluctant young wife of John Ames, is one whose voice and story I won't soon forget. When Shannon is ten, a gypsy reads her fortune-- before she turns thirty she will marry a man who she meets at a wedding. Shannon becomes somewhat obsessed with weddings, and when she's a BYU student, she reconnects with Nathan, who embarrassed her at a wedding many years ago (he doesn't remember this happening, and she doesn't remind him). But Nathan's not so bad this time around. In fact, they become BFFs, and he makes it his mission to take Shannon to as many weddings as possible so she can find her one true love. Of course, he's right in front of her the whole time. This story is cute, if predictable (is it even a legitimate criticism to say a romance novel is predictable-- isn't that part of the genre?). I read two BYU romances in a row, and while I think these stories definitely have their appeal, and I was a BYU bride myself, they also make me cringe a little bit. It makes me sad that Shannon is so eager to fulfill the fortune teller's promise when she's still so young. I did like the "friends before lovers" aspect of this story, and though that the story of how they met at BYU (involving fainting and lots of pizza) was pretty charming. Sophia did the thing every parent fears her daughter will do when she goes to BYU-- she met a returned missionary at the beginning of her freshman year, got engaged in September, married in October, and divorced in May. Now she's back at school for her second year, nineteen, divorced, and mortified, and living with a bunch of roommates. 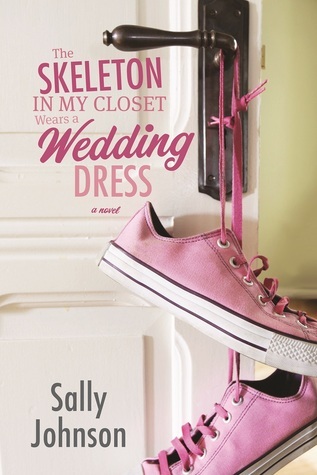 While there is a romantic element to The Skeleton in my Closet Wears a Wedding Dress, what makes the book a good read, a book I might even recommend to my girls, is the way that Sophia starts to know herself through this experience. It's true that her ex was a jerk, and that the friend she confides in turns into more than a friend, but Sophia learns that she has strengths she didn't know she had. 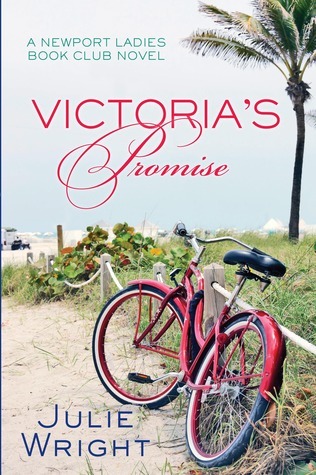 This one is cute, and a quick, enjoyable read. The BYU culture in the novel is more fun than annoying, and Johnson is spot-on with her cast of roommates. If you remember Elizabeth Ellis from Krista Lynne Jensen's novel The Orchard, you might remember someone who was materialistic and kind of self-involved (but who seems to redeem herself in the end). 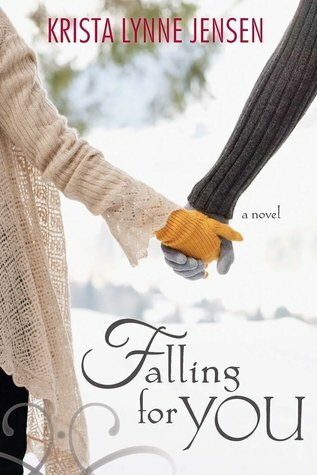 In Falling for You, Elizabeth gets the chance to tell her story, and to find her shot at love. She trades in her jet set lifestyle for a chance to help run a store in Jackson, WY, and stays in a small inn when she arrives. Of course, the innkeeper is a handsome man with a complicated past, and Elizabeth is forced to decide what she wants out of love, out of life and out of the religion both of her sisters have joined. My favorite thing about Falling For You was to see someone who was fairly unlikeable in another story become redeemed in this one. It makes me question how I often misjudge people and situations and don't see the big picture of people's lives. 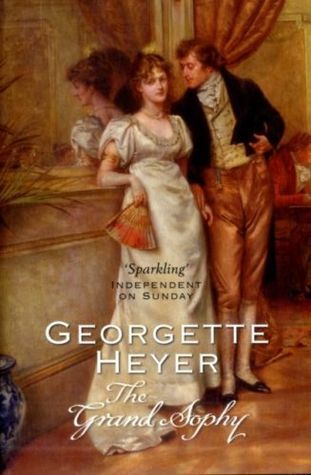 The romance was fairly predictable, and the conversion story (which was explored pretty thoroughly in The Orchard with Elizabeth's sister) seemed a little repetitive, but this was still a worthwhile read. Robert Peace was born in East Orange, New Jersey to a single mother who made minimum wage as a kitchen worker. His father was a drug dealer who went to prison for killing two women when Rob was a young boy. He started dealing himself when he was still a teenager. If this was all you knew about Rob Peace, you probably wouldn't be surprised to learn that Peace died in a drug-related shooting when he was 30. But Rob Peace also had a father who read with him and worked on homework every night they were together. He had a mother who made enormous sacrifices to send him to private school. He was a swimmer, a water polo player, and a student leader. He was enough of a standout at his high school that a wealthy benefactor paid for his education at Yale. He took on one of the toughest majors (Molecular Biophysics and Biochemistry), and graduated from Yale having achieved some of the school's highest honors. And yet, that terrible death awaited him. The Short and Tragic Life of Robert Peace is one of the best books I read in 2014. It was definitely my favorite nonfiction read. It reminded me a lot of The Secret Life of Henrietta Lacks, probably mostly in the way that the authors initially seem quite detached from the story, but it becomes clear that they have a personal stake in the game as the narrative unfolds (Jeff Hobbs and Rob Peace were roommates at Yale). Hobbs does a great job looking at Rob and the other people in his life, and trying to piece together why someone who overcame so many obstacles and had so much potential eventually lost his footing. Hobbs asserts that Peace's life was not a cliche, and reading the book reveals the complexity of his story. The book is definitely worth reading, and Rob Peace is a person I won't soon forget. It's February 12, the last day of Samantha Kingston's life. The first time Samantha lives through February 12th, she self-involved and cruel at times, reveling in her popularity and her circle of friends, and when she and her three best friends speed off, drunk, in an ice storm, their deaths feel somehow deserved. But Samantha gets a second chance, and a third, and even a sixth and seventh, not to escape death, but to live a meaningful last day of her life. 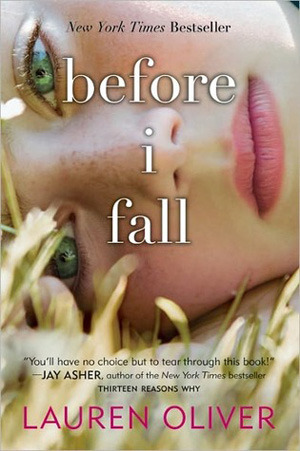 The premise of Before I Fall isn't that unique-- it's a Groundhog Day story. Samantha has one day to make things right in the world, which is a tall order. Each time she relives the day, she gains insight into her own life, her actions, and into making peace with her existence. The book is an interesting exploration into the life of teenage girls, popularity, and into the idea that the choices you make in a single day really can make a difference. 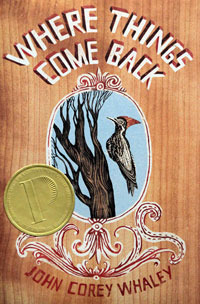 Cullen is having a rough summer-- his cousin recently died of a drug overdose, and the sleepy Arkansas town he lives in is caught up in a frenzy over the supposed reappearance of a woodpecker that was thought to be long-extinct. Then Cullen's brother, Gabriel disappears, and he's caught up in feelings of rage an ineptitude. Cullen's story alternates with the story of a young missionary who's losing his faith while serving in Africa. While these two stories seem like a strange juxtaposition at first, they eventually come together in a satisfying way. I know this book got a lot of hype (it won the Printz Award in 2012), but I felt that there was more emphasis on style than on storytelling. The alternating stories seemed so jarring in the beginning, and there seemed to be little emotion surrounding the conclusion to the story (which should have elicited a lot of emotion). Cullen was a somewhat unsympathetic protagonist-- I felt bad for his predicament, but didn't always identify with his actions or see them as a result of his grief. Lady Emma Drake has had more than her share of marriage proposals from eligible, decent men. But, try as she might, she can't get over her love for Captain Sidney Fletcher, her brother's best friend, who thinks of her as a little sister. When Emma gets word first that Sidney is dead, and then that he may actually be a prisoner of war in Spain, she steals away onto her brother's ship to help save him, eventually ending up as a prisoner of war herself. 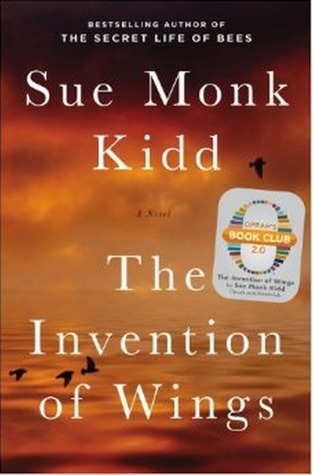 The main action of the story takes place in Spain, as Emma and Sidney journey to safety, a journey fraught with danger. 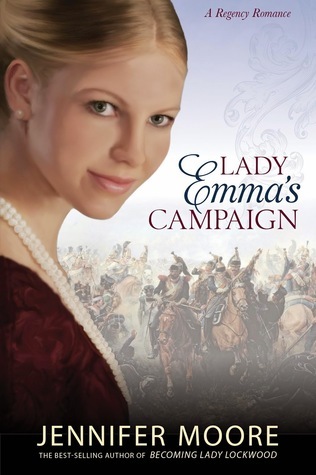 Lady Emma's Campaign is an exciting novel, with lots of action. There were parts of the story I enjoyed a lot (the beginning, in particular). However, the campaign itself dragged a bit, and I was eager for the couple to return to safety and to find a way to live happily ever after. When Eliza leaves Nashville for Rockbridge Academy, in the Blue Ridge mountains, she knows that she's trading troubled adults (her sister and mother) for troubled teens (the students she will be counseling). What she doesn't figure is that love may also come her way. However, she's surprised to find that two men are vying over her, one of whom is a Mormon like Eliza, and the other one who is interested in becoming one. 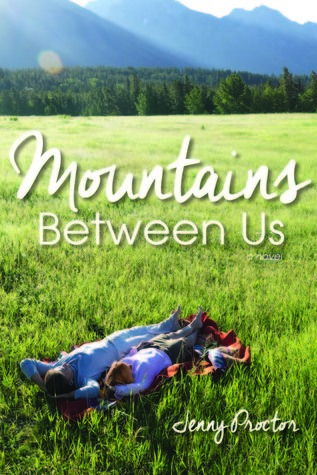 Mountains Between Us is Jenny Proctor's second book that centers on the Rose Creek community (The House at Rose Creek was a finalist in the general category in 2013), and the protagonists of that novel reappear as minor characters in this story. I think this is the better executed of the two books, and I found myself engrossed in Eliza's dilemmas with her sister, her students, and her future. While Tori works long hours as an Assistant Director for Vows (a Bachelor-type reality show), her real passion is screenwriting. Other than those two things (and her montly book club meetings), she doesn't have much time in her life for anything else, including love. Then Tori meets Chris, who seems to be the perfect man for her. The catch? Thirty other women are vying for his love, and falling in love with him would put her own career in jeopardy. So which will she choose? Love or work? I've probably read about half a dozen of the books in The Newport Ladies Book Club series now, and I think this one was my favorite. I'm finally seeing all of the stories start to intersect more clearly, and I think that's working well. I also really liked Tori as a character, and identified with her dilemma. I wish there had been more of Chris in the story-- she spends so much time avoiding him that it seems that she's more in love with the idea of him than actually being in love with him. That said, I really loved the surprising way the story came together in the end. This is definitely a fun read. Premise: Jim Gaffigan likes food. He likes exactly the kind of food you think he would like-- hamburgers, sausages, steak-- guy food. In this book, he says funny things about food. I like Jim Gaffigan. I think his short YouTube clips are hilarious. I have enjoyed myself while watching his hour-long comedy specials. I would even consider going to see Jim Gaffigan live. But seven hours worth of Jim Gaffigan is entirely too much Jim Gaffigan. I thought this was a perfect book to listen to rather than read, so I could hear Gaffigan telling his stories, but in retrospect, I think it would have been better to read. You see, there's nothing new in this story. I didn't learn anything new about food in this story. I didn't learn much about Jim Gaffigan in this story. Instead, I learned basically what I already knew, that he's a midwestern boy living in NYC with a whole bunch of kids, who eats bad food and is a little fat. 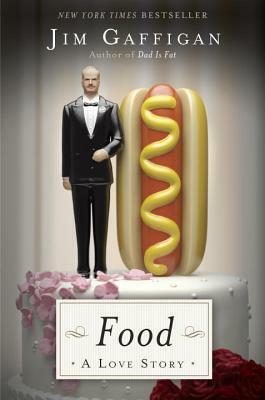 I think this book would appeal to hard-core Gaffigan fans, or to other people who are proud of the fact that they are not food snobs. At seventy-seven, the Reverend John Ames knows his heart won't hold out much longer. For most of his life, he led a quiet, solitary life as a Congregationalist minister in Gilead, Iowa. But when he was in his late sixties, grace entered his life in the form of Lila, and together they had a son. And now, Ames knows that he won't live to see that son grow up. Gilead is an extended letter to that boy, a story that goes back to John Ames's own boyhood, with his Civil War-era grandfather (an abolitionist and a pastor) as well as hopes for the boy's future. The story also deals extensively with ne'er do-well John Ames Boughton (the central character of Home, the second book in the Gilead series, and the son of Reverend Ames's best friend, Reverend Boughton). 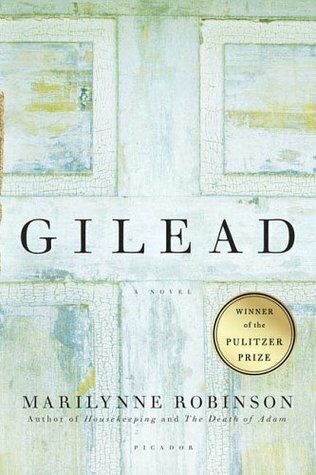 Gilead is a book I always felt guilty for not reading. 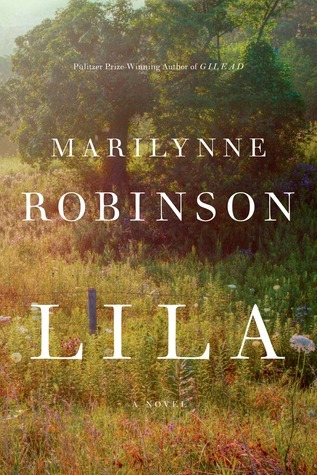 After attempting Housekeeping, I didn't think I liked Marilynne Robinson's writing, and never picked up Gilead, even though many of my friends said it was their favorite novel ever. After having my mind blown by Lila a few months ago, I decided to go back and read Gilead. It is a gem of a book, John Ames is a good man with very human struggles, and he looks at those struggles (mostly) honestly. The beginning is a bit of a slog, and I would say it would be even more difficult to settle into the rhythms and cadences of John Ames's speech if I hadn't recently read Lila, and probably even more if I hadn't listened to an audio version of the book. This isn't one to speed read. It's a book with a lot of grace and wonderful ideas about parental love. It made me wonder if I don't cherish my children enough because I take my time with them for granted. I still think Lila is a superior book, but I finally do understand what all of the fuss is about with Gilead. At thirteen, Noah sees the world through his artwork. Nearly everything important to him shows up in his sketchbook, and his mother, an art history professor seems to truly understand and nurture his gift. His twin, Jude, is the quintessential California surfer girl, a Daddy's girl. Despite the fact that Jude seems to run a little wild, and the two suffer from jealousies, misunderstandings, and crushes on the same boy, they're also incredibly close. When tragedy tears their family apart, their roles in the family seem to reverse, and the book examines two teens in crisis, and how they work their way back toward wholeness. 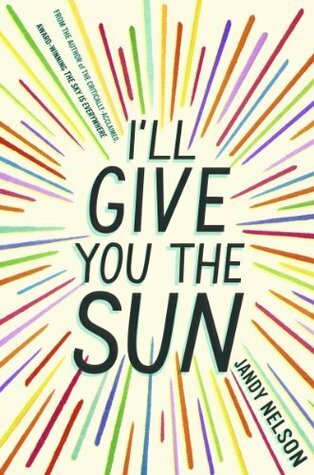 I'll Give You the Sun is a beautiful book. It's hard to write about without giving too much away, but when we encounter Jude and Noah as sixteen-year-olds, both are carrying incredible guilt for things they've done. While a less adept writer might turn the book sentimental or sermonize about the choices they make, Jandy Nelson tells a story where the twins find a sense of wholeness and learn to embrace the things they love, after a time when neither one feels worthy of love. In the same sort of sobfest vein as The Fault in Our Stars (but even better in a way, because I loved the sibling story), this is a book where love, family, and forgiveness are at the very center of the narrative. It's pretty realistic in its portrayal of struggling teenagers, so it might not be a great choice for more sensitive readers. 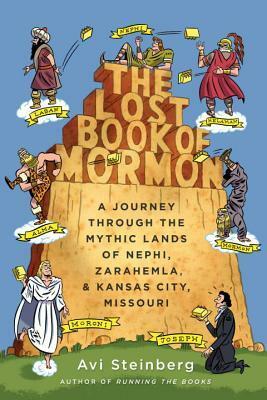 I love the premise of The Lost Book of Mormon: Avi Steinberg was feeling stuck in his life-- living in Jerusalem, struggling in his marriage, trying to finish a novel, he became fascinated with The Book of Mormon, and decided to track the trajectory of the story, traveling from Jerusalem to Mexico, to upstate New York and Kansas City. The book occupies an interesting rhetorical situation, since Steinberg is not a Mormon. In fact, he believes that Joseph Smith is just another author trying to make it big with his first book. This might be seen by many Mormons as criticism or heresy, but it actually allows Steinberg, as an enthusiastic outsider, to make some observations about Mormon culture and the Book of Mormon that neither a believing member nor someone who wants to disprove Smith's claims could make. And while I was attracted by the premise of the book, I wasn't as entranced by the execution. I've read a lot of immersion/stunt journalism projects (AJ Jacobs, Gretchen Rubin, Michael Pollan), and this is one of the least successful of these types of books. Steinberg starts in Jerusalem, where Nephi and Lehi may have walked (which was interesting), and then goes on a Mormon tour of ancient ruins in Mexico and Guatemala, where the story was much less about the Book of Mormon than it was about the fellow Mormons on the bus. His experience getting kicked out of the Hill Cumorah Pageant was interesting, but not necessarily insightful to the project. All in all, I enjoyed the idea of the book more than the book itself.